“Cryptozoological research should be actuated by two major forces: patience and passion.” – Bernard Heuvelmans, 1988. It is my pleasure to welcome you as a fellow member of the International Cryptozoology Society (ICS). As a Society member, you will share in the thrill of the search for hidden animals, and thanks to the Society’s international contacts hear about the latest expeditions and discoveries worldwide. As a founder, member, director and enthusiastic supporter of the now-defunct International Society of Cryptozoology (ISC), I participated in many of its symposia and contributed to its publications from 1982 through 1997. The ISC dissolved shortly afterwards, but my and others’ interest in cryptozoology and the search for hidden animals has continued to fascinate naturalists and the general public, and even some adventurous scientists for the continuing decades. 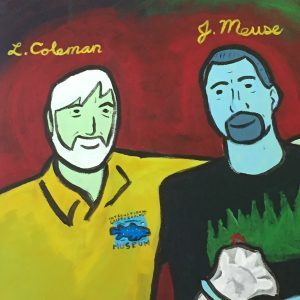 During the First International Cryptozoology Conference in St. Augustine, Florida, at the Board of Directors of the International Cryptozoology Museum (ICM), on January 5, 2016, the total membership of the Board voted positively in favor of creating a scientific cryptozoology membership organization as an offshoot of the museum. Due to copyright and other legal issues, merely assuming the name and mandate of the old International Society of Cryptozoology, was not an option. Instead, we decided to form a new association as a subset of the ICM, with a peer-reviewed journal, entitled the INTERNATIONAL CRYPTOZOOLOGY SOCIETY (ICS). The formal announcement of the ICS and introduction of the first honorary President, Dr. Paul LeBlond, occurred on the last day of the conference, January 6, 2016. The work of the day-to-day functioning of the ICS and the ICM, under the overview of the ICM Board of Directors, is conducted by Loren Coleman, Director, and Jeff Meuse, Assistant Director. Paul H. LeBlond is an ocean scientist specialized in the study of waves, tides, tsunamis and ocean currents. In parallel to his research and teaching in physical oceanography, he has also pursued an interest in marine cryptozoology, with special focus on Cadborosaurus. He was one of the founders of the International Society of Cryptozoology, and a co-founder of the British Columbia Scientific Cryptozoology Club. LeBlond is an emeritus professor at the University of British Columbia, a fellow of the Royal Society of Canada and of the Canadian Meteorological and Oceanographic Society. LeBlond is the author of technical scientific studies, a book on wave research, and two books on Cadborosaurus. Also LeBlond has translated a book from the French on Asian Wild Men. The International Cryptozoology Museum – founded in 2003 – a 501(c)3 since 2011 – has as its primary mission to educate, inform, and share cryptozoological evidence, artifacts, replicas, and popular cultural items with the general public, media, students, scholars, and cryptozoologists from around the world. As part of its mission, a society of cryptozoology research and review, with a peer-reviewed journal, is the next logical step. The International Cryptozoology Society is the outcome. The International Society of Cryptozoology (ISC) was founded in 1982 at a special meeting hosted by the Department of Vertebrate Zoology of the U.S. National Museum of Natural History, Smithsonian Institution, Washington, D.C. That Society vanished, in essence, with the death of Bernard Heuvelmans, Richard Greenwell, and Ray Mackal. It is the objective of the International Cryptozoology Society, tied to a permanent physical presence, to have a legacy not linked to individual leadership, but to the cryptozoological goals of the Museum, the Society, and the journal. Cryptozoology has inspired some dynamic, colorful and intriguing logos for organizations, publications, and expeditions. In November 2007, I\we shared and launched the Austin artist Duncan Hopkins-designed logo for the International Cryptozoology Museum of a coelacanth (first “discovered” in 1938) that successfully identified and branded the new museum. The coelacanth worked, but the significance of the okapi remains important to cryptozoology. 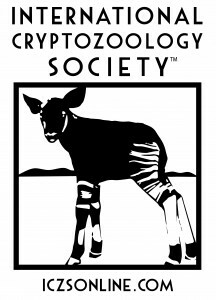 The okapi used as the International Society of Cryptozoology’s official logo on their journal Cryptozoology, as well as the ISC Newsletter. The ISC used a black and white rendering of the okapi, one of the primary animals of discovery within cryptozoology, as a useful and quickly recognizable symbol for the organization. The well-known, beautiful, but rare nature of the 1901-discovered okapi made for a striking logo to symbolize the ISC’s mission. The okapi has remained a visible and useful image in the field. Here an Italian organization founded in the late 1980s decided to employ an okapi looking in a different direction for their logo. The okapi and cryptozoology will always be symbolically united in the public’s eyes. 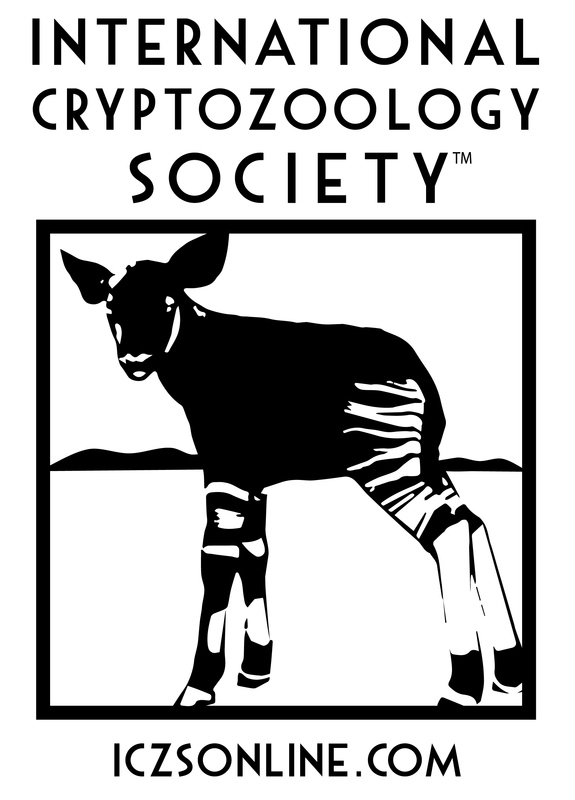 The new logo of the International Cryptozoology Society harkens back to a favored animal of cryptozoology – the okapi – but this specific individual has a special history. Loren Coleman and Duncan Hopkins, once again, designed a unique logo for the founding of the International Cryptozoology Society. We decided to use as the foundation for the ICS logo the image we have of the very first living okapi known to Western Civilization. 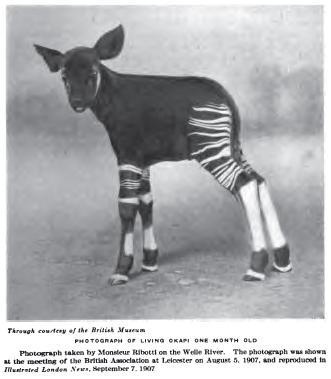 A small, month-old okapi was captured in 1907, and its photograph was published in London. This model seemed the perfect okapi to be the symbol of the new International Cryptozoology Society.